Have you heard about Perth’s new $1.6 billion stadium? Described as a world-class stadium with the capacity to hold 60,000 people, anticipation for the long-awaited grand opening of Perth Stadium is building. Scheduled to open later this month, the project has been a big topic for discussion since it was first announced. As one of the most expensive pieces of public infrastructure ever built in Western Australia, the venue is expected to be a big drawcard for tourists from across the world and for locals wanting to attend sporting events in a state-of-the-art arena. Future-proofed stadium technology will be provided, including full 4G Wi-Fi coverage across the Stadium and surrounding Stadium Park. Two 340m² giant video screens are some of the largest in Australia and will use the latest technology when the Stadium opens in January 2018. A buffet and a la carte restaurant overlooking the Swan River provide a destination for patrons both pre and post-game plus on non-event days. As well as its ‘fans first’ features, the stadium will also encompass a broad selection of practical design features that will make everyday use of the stadium a positive experience for both event operators and attendees. One key part of these practical features was the commercial resurfacing provided by the team at Wespray on Paving! 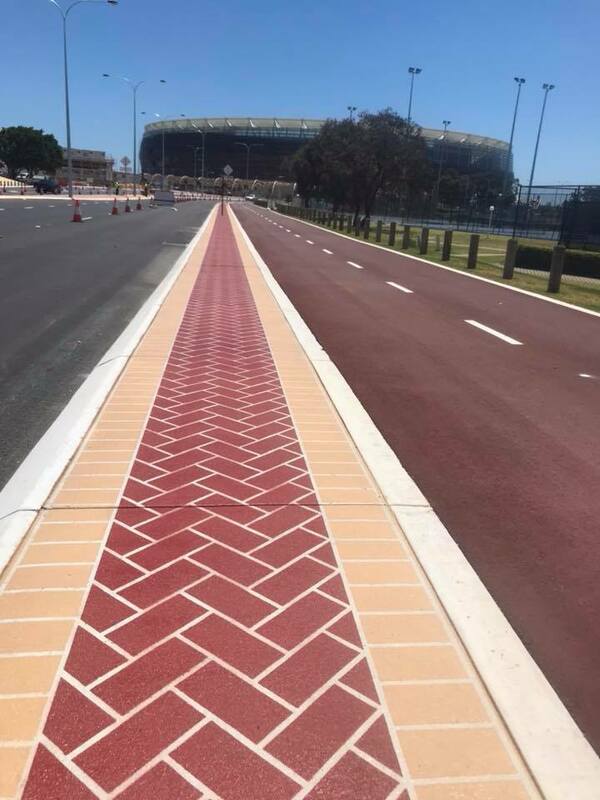 We were thrilled to be a part of this project, completing the commercial resurfacing for the bike paths and median strips, which will prove invaluable once the stadium is in operation. 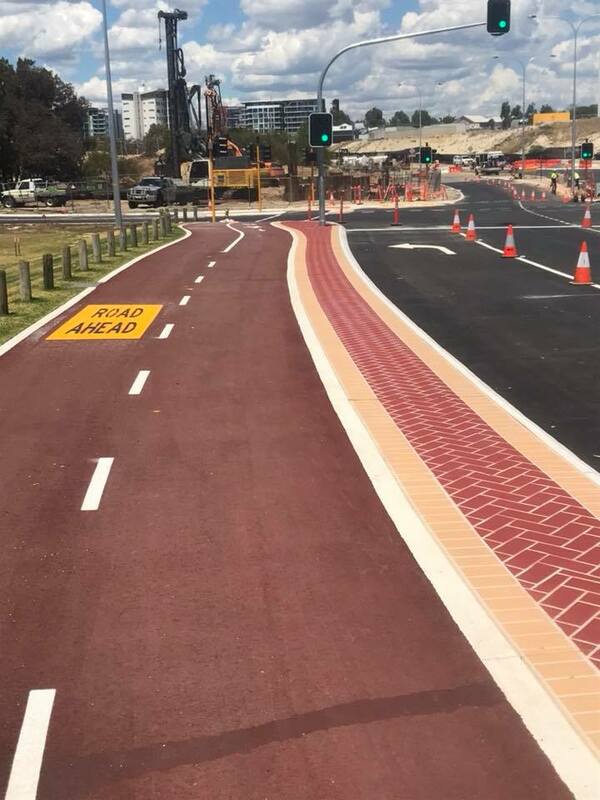 With the superior finish, high-quality materials, and expert execution that has become synonymous with the Wespray brand, we’re very pleased with the finished project and can’t wait to see our professionally surfaced bike lanes and median strips in use. For assistance with your next big commercial resurfacing project, get in touch with the team at Wespray On Paving today!